The price of shipping varies depending on where the package is being sent to. We are situated on the Gold Coast which means, the further the courier is to travel, the higher the price in delivery. Below are two maps that outlines different regions that our courier lists. Depending on which region you are in, the courier price may change. 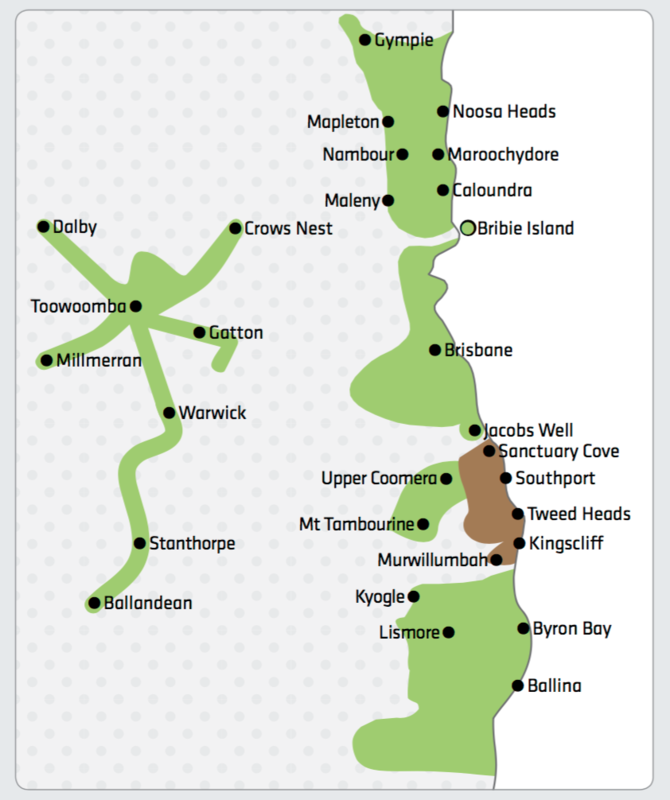 Above is a map showing two different areas in brown and green. The brown area is local which means the price will be cheapest for delivery and will be delivered the day the parcel is picked up by the courier. The green area is the short haul which is slightly more expensive and will take 1-2 for delivery. Above you will see a map of Australia. Again it is coloured coded by regions and price depends on your location. Customers in the red zone will recieve their package within 1-2 days. If you are located in the orange zone, you will recieve your package within 2-3 days. 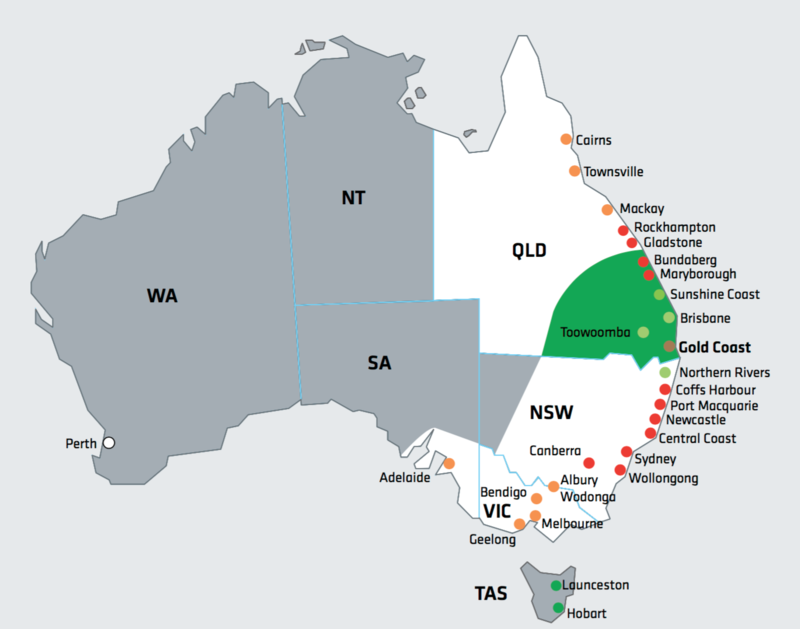 Currently, we do not list all of Australia in our postage areas (white zone, grey zone and dark green). However, if you postcode is not listed and you wish to purchase something, you can email us on info@lefromageyard.com and we will be more than happy to sort out pricing and postage.